Is the Sistine Chapel too popular for its own good? 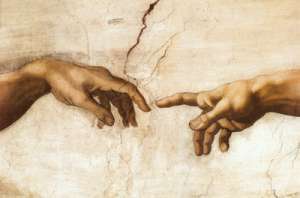 Close-up detail of “The Creation of Adam” from Michelangelo’s Sistine Chapel frescoes. Print available at Amazon. For the countless number of tourists who visit Rome every year, the Sistine Chapel is almost surely near the top of their “must see” list of attractions. Michelangelo‘s incredible fresco cycle, completed 500 years ago, is one of the world’s greatest treasures and a subject of immeasurable artistic and religious importance. Upwards of 20,000 people a day visit the chapel during the peak of the travel season…but is that simply too much for the fragile work to bear? 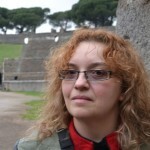 The controversy began in 2012 when Italian literary critic and author Pietro Citati wrote a scathing open letter to the Vatican, published in the Corriere della Sera and decrying the situation. He was abhorred by what he saw on a recent visit to the Chapel, describing the crowds there as comparable to “drunken herds” where, “in the universal confusion, no one saw anything”. But he was also deeply concerned that the large numbers of visitors would eventually cause significant damage to the artwork, which already went through a lengthy (and controversial) cleaning and restoration for ten years between 1984-1994. “The great hall was filled with many hundreds of people: heavy jackets, coats, hats, hoods, raincoats, and umbrellas. Breaths from visitors formed halos, vapors and mists that hung at the ceiling,” he wrote, and that such pollution, dirt and moisture needed to be reduced dramatically if the artwork is to survive. But the Vatican disagreed. 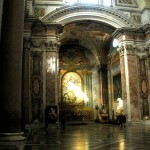 While admitting that work was underway to improve air circulation in the Chapel, the Vatican called restricting or limiting access in any way “unthinkable. 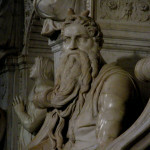 The Sistine is not only a place of art; it is also a consecrated chapel, a compendium of theology, and a true and proper catechism in pictures.” Yet a year later the Vatican admitted that if a new air conditioning and purification system to be operational by the end of 2014 doesn’t improve conditions, they may be forced to impose a limit on visitors in the future whether they’d like to or not. What do do you think? Are too many tourists destroying one of our Renaissance art masterpieces, or is this religious and cultural treasure one that should remain open to all, no matter what the cost? You can read more about the debate below. A typical day in the Sistine Chapel: Basically a room full of bodies. Notice all the people taking photos when you’re not supposed to as well. Image by Randy OHC on Flickr. The Sistine Chapel is a part of the Apostolic Palace in Vatican City—that is, the Pope’s official residence. 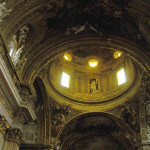 The chapel was consecrated in 1483 after the celebration of the first mass there, and the completion of a cycle of frescoes on the walls by notable artists of the time. Originally the chapel ceiling was painted entirely in blue and decorated with gilt stars. 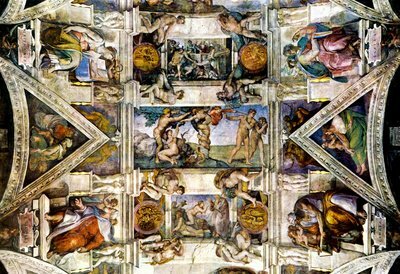 In 1508 Michelangelo began working on a new series of frescoes to cover the ceiling. Commissioned by Pope Julius II, it would take until 1512 for Michelangelo’s work to be complete. Later, after the Sack of Rome, Michelangelo would return to complete The Last Judgement fresco behind the altar. This would take between 1535 and 1541 to be completed. 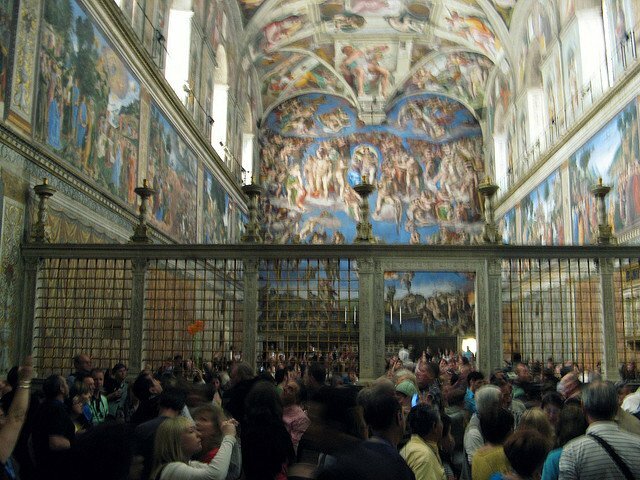 The Sistine Chapel today is open to visitors of the Vatican Museums, except on days when it is closed for official use in the celebration of important Papal services. It is also where the Papal Conclave is held when a new Pope is to be elected. 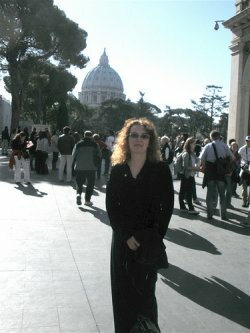 The author at the Vatican Museums in 2009, on the day of our Patrons’ visit. I have had the good fortune to visit the Sistine Chapel on two separate occasions. The first was several years ago, in 2009, as part of a private before-hours visit offered by Patrons of the Arts in the Vatican Museums. There were only two of us on the Patrons tour, and one other group of about 10 other before-hours visitors that day. For nearly an hour we had the Sistine Chapel just about to ourselves, until the first regular tourists started filtering in. To say it was a truly inspirational, once-in-a-lifetime experience is no understatement (and it was worth every penny of the expense.) We were able to walk about, sit and take in the entire chapel in near silence, examine different panels of Michelangelo’s work along with the notable frescoes by Botticelli, Perugino, and other masters along the side walls. Five years later, in 2014, we returned for a second visit while in Rome for a few days. We did not pay for a private tour (though I did book an entrance time in advance so we didn’t have to waste hours in the endless line). Making our way through the packed corridors at 1pm in the afternoon, we entered the Sistine Chapel to find an absolute mass of humanity…I almost want to call it a mad house. I’d hoped since it was wintertime there might not be as many crowds at the Vatican, but no luck. The wall of noise was almost constant, between visitors talking, babies crying, cell phones ringing and guards yelling for silence, respect, and no photos. It was difficult to move about or to stand in one place for too long without getting jostled and pushed. There literally was not more than a foot of space to stand and just take it all in, let alone try to concentrate on the work with all of the distractions going on all around you. To finally leave the chapel was more of a relief than a sorrow—finally, to escape the insanity! This is no way to be able to experience one of the greatest works of art in human history. There is nothing religious or reverential about it either; it feels more like a circus than a church. Not only do I believe the crowds and resulting humidity must be bad for the frescoes but it lessens the importance and impact of the work to allow these near unlimited masses of people to treat it with such disrespect. 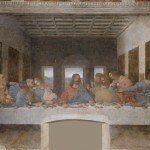 In contrast, I have also been to see the Scrovegni Chapel in Padova and Da Vinci’s Last Supper in Milan: two other incredible yet delicate works of fresco art that have tightly controlled, limited access. Tickets to see both must be bought (far) in advance, visitors must pass through purification chambers to reduce moisture and pollution they bring with them, and visit time is strictly limited to 15 minutes—then you’re kicked out. The experience of visiting both is entirely different from going to the Sistine Chapel, much superior as you have freedom to move, to experience it all in quiet with only a small group of other tourists. I really feel that the Vatican needs to consider taking similar measures if they are going to preserve Michelangelo’s work, and allow the Sistine Chapel to be experienced as it is meant to be seen. Otherwise I recommend visitors who are truly interested in experiencing the Sistine Chapel pay the expense for a special access tour; there is no other real way to enjoy it properly. What is your opinion on the debate? Limit visitors, or not? Feel free to leave a comment in the guest book and let me know where YOU stand on the debate! Poster print available from Amazon.